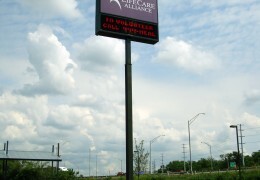 Pylon (Free Standing Sign) Pylon signs are often called pole or freestanding signs. 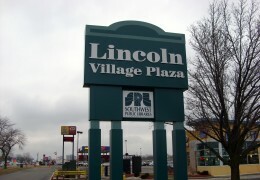 Basically they are signs erected on a pole or pylon independent of any building or structure. 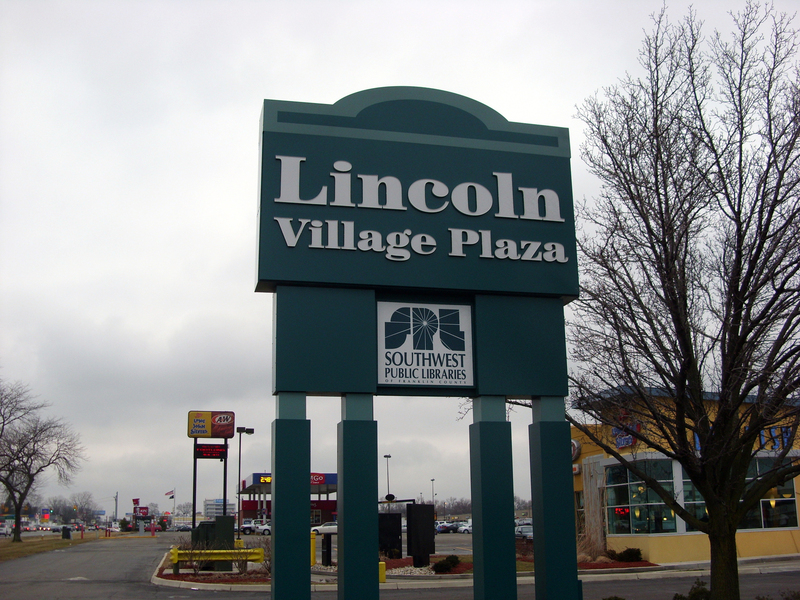 Since they are typically mounted higher in the air than monument signs, pole signs offer excellent visibility from a distance. One of the many advantages of pylon signs is to separate your business from the rest along your street, reflecting your company’s identity and professionalism. The pole(s) can be covered with an attractive shroud to provide that added dimension (and impact!) to your sign. 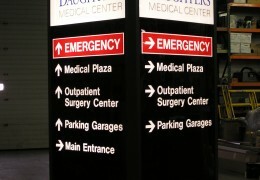 Pylon signs are typically illuminated, either internally (most common) or externally. 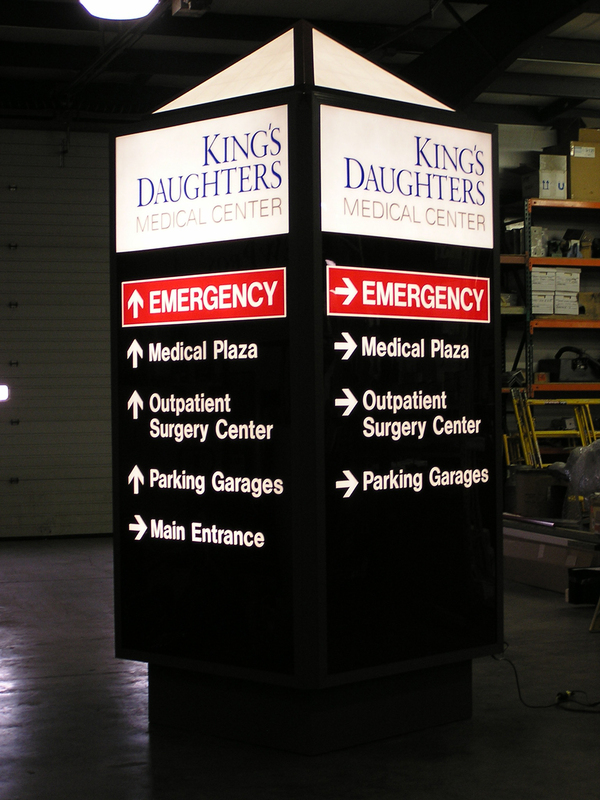 Looking for maximum impact and message capabilities, add an electronic message center (LED sign) for an unparalleled eye-catching display! 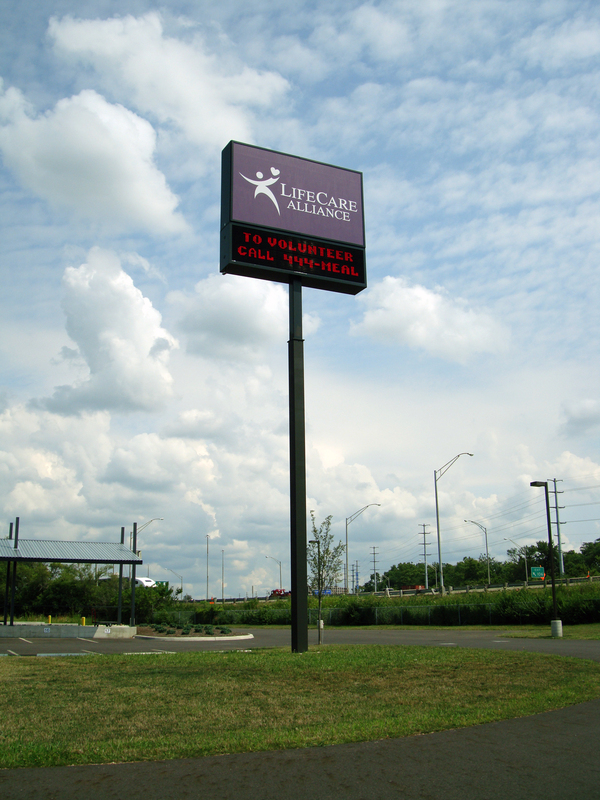 Like most other types of commercial on-premise signage, be sure and check with your local city or township ordinance for height and size restrictions (or just ask us and we’ll find out for you! ).